Rose Audio Visual Pvt. 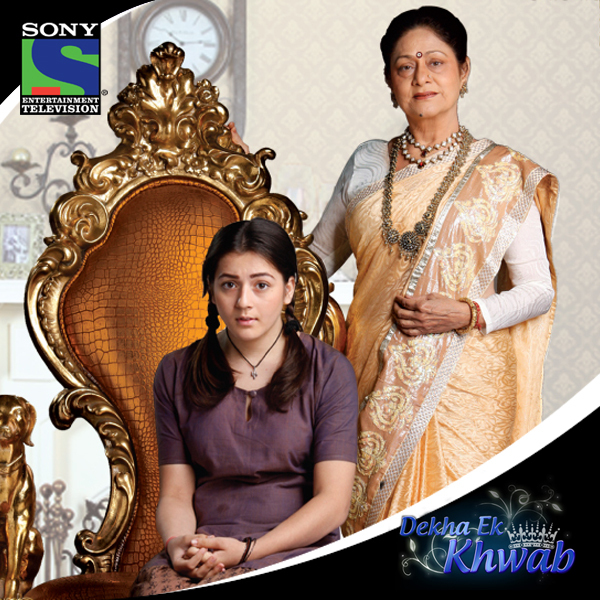 Ltd.
Dekha Ek Khawb is the story of Moniya, a young vivacious girl from a poor family. One day, Moniya discovers that she is in fact the kidnapped daughter of a king and queen, Maharaj Brijraj Singh and Maharani Komal Devi. Once she comes to terms with the fact that the man she considered her father all this while, is actually her kidnapper, Moniya sets out to adapt herself to her new identity, that of princess Manyata. One of Manayata’s hardest tasks as a princess is to learn to get along with the younger princess, Rajkumari Jaynandini, who is threatened by Manayata’s entry. She also has to reconcile herself to the fact that she is betrothed to a stranger named Yuvraj Udayveer, the son of the king’s closest friend. Manayata grapples with her royal obligations as she is in love with an ordinary man named Akash. Udayveer initially has no interest in Manayata, and agrees to marry her in order to further his political ambitions. However with time he grows fond of her, and eventually falls in love with her. The animosity between the two princesses escalates further as the younger princess falls in love with her sister’s handsome fiancé, Manayata in the meantime continues to struggle with her duties and what her heart truly desires. Dekha Ek Khawb is an innovative coming of age tale, which chronicles four young lives as they tussle between their obligations and desires.